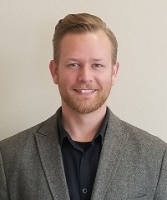 Matt Pawluk, Director of Quality & Manufacturing, Evolve Manufacturing Technologies, Inc.
Matt Pawluk is the Director of Quality & Manufacturing and the Management Representative at Evolve Manufacturing. Prior to working at Evolve, Matt managed the Quality System at Outset Medical, a start-up dialysis OEM. Most of Matt's career was working at Abbott Vascular in a variety of roles, including Manufacturing Engineering, Operations, R&D, Project Management and Quality. Matt has a Mechanical Engineering degree and an MBA, and is Lead Auditor Certified to ISO 9001:2015 & ISO 13485:2016.